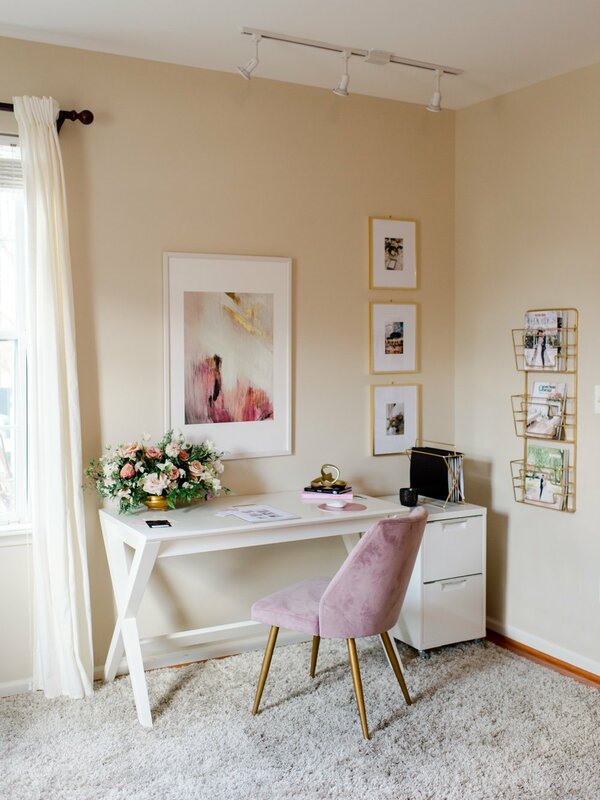 You guys, I am so excited to take you inside my updated office space today! 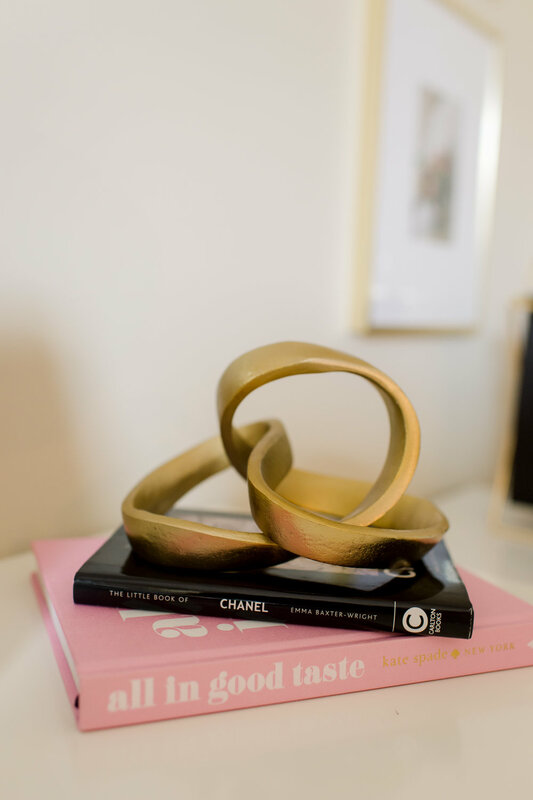 I have been hard at work these past couple months doing all the Spring cleaning and Marie Kondo-ing around here. 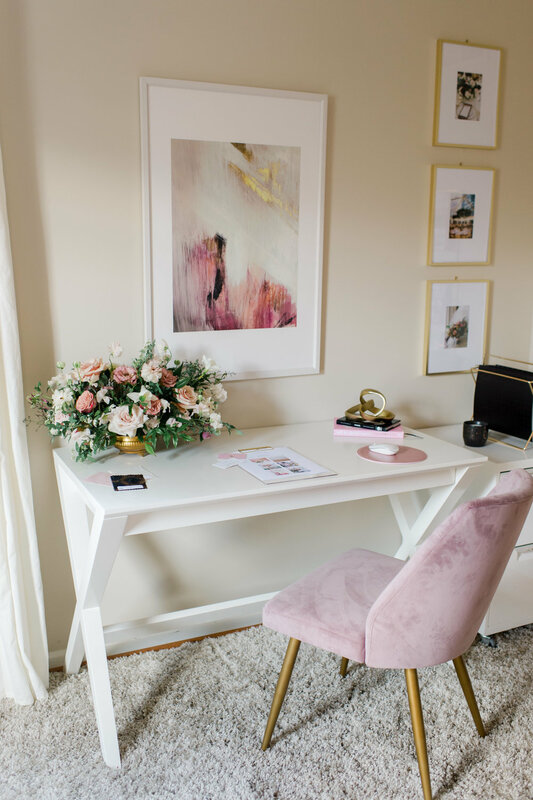 My overall goal was to design a workspace that felt inspiring and consistent with our modern romantic brand. 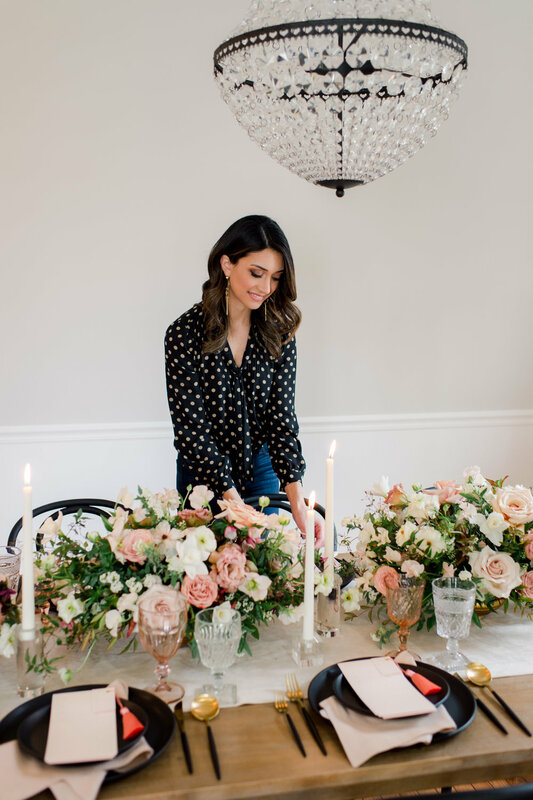 With a new wedding season just around the corner, I also collaborated with some of my favorite vendors here in DC to produce a fresh tablescape design to get us all in the Spring mood! I received a lot of questions about where I found these office pieces, so I did my best to link all of the details at the bottom of this post. 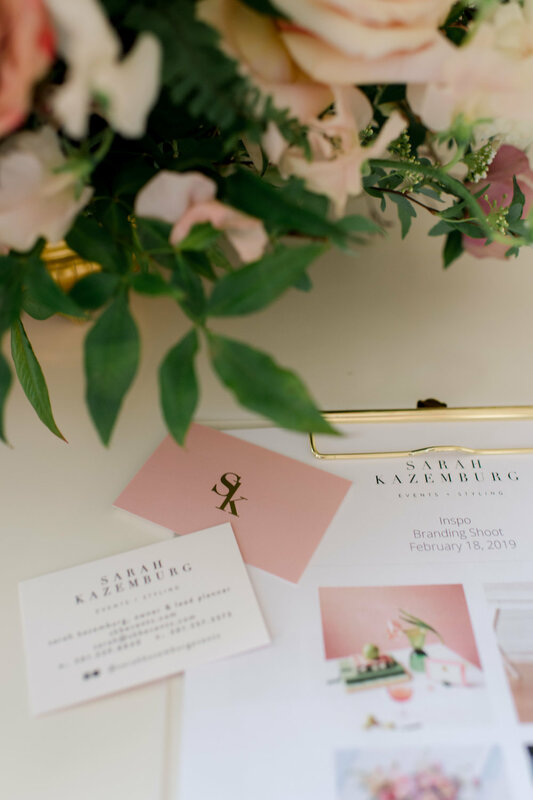 Hope you enjoy seeing a little behind the scenes of wedding planner life through these images by the amazing Lisa Ziesing! Velvet and pink are easily two of my favorite things, so when I spotted this this velvet chair at World Market it was a no brainer. Interesting layers and textures are the key to a curated, luxe dining experience. 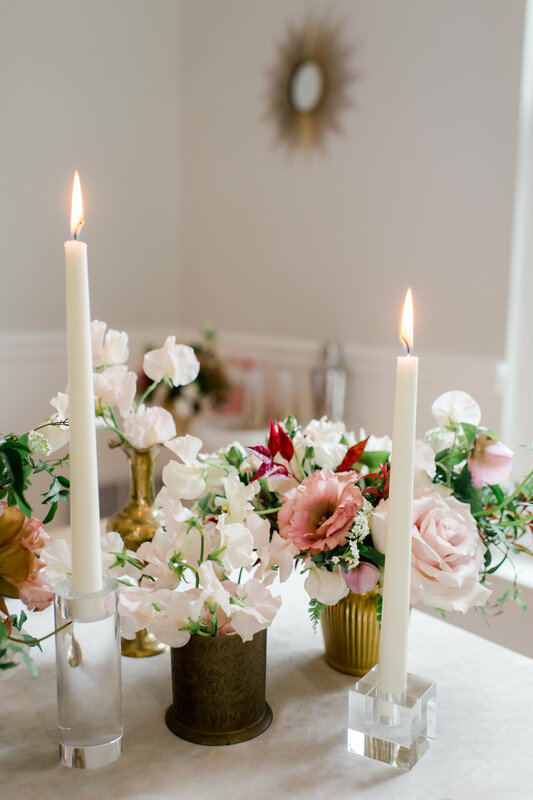 For this table scape design, I took cues from my brand’s colors as a starting point (tonal pinks, dusty rose, gold and black). 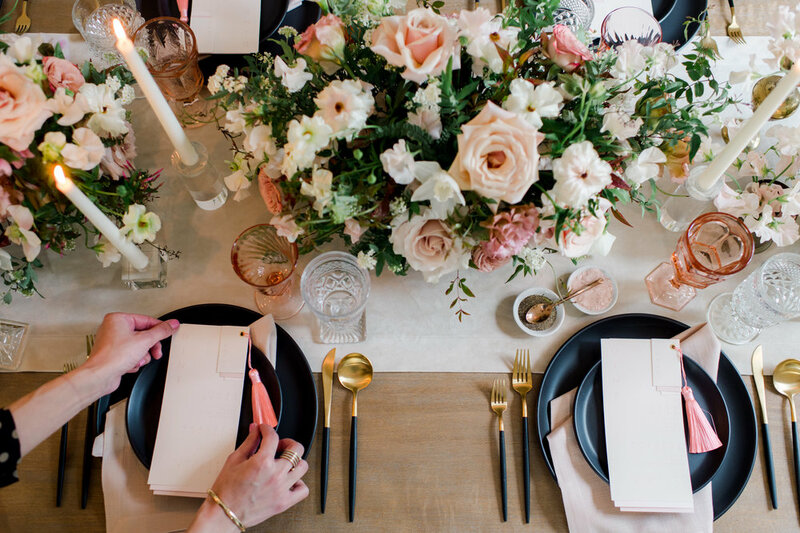 We balanced out soft pink floral tones with matte black dinnerware and modern flatware. 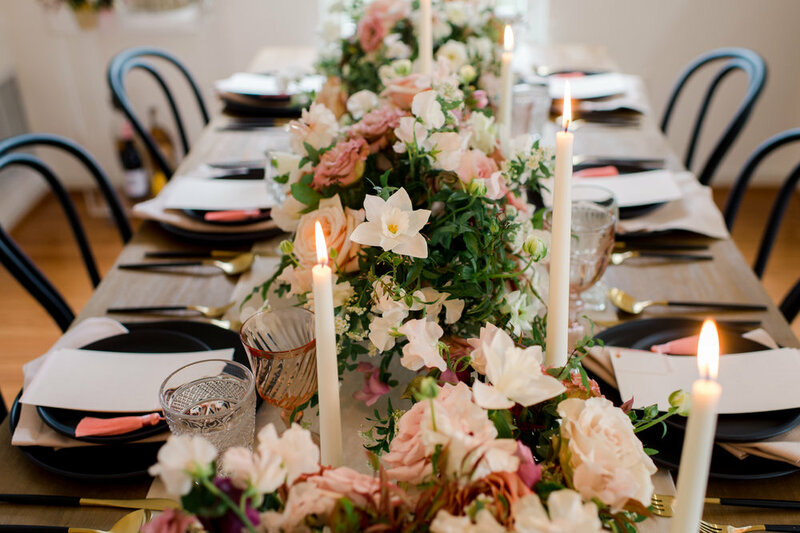 Mixed vintage glassware added dimension while tying the florals and place settings together. 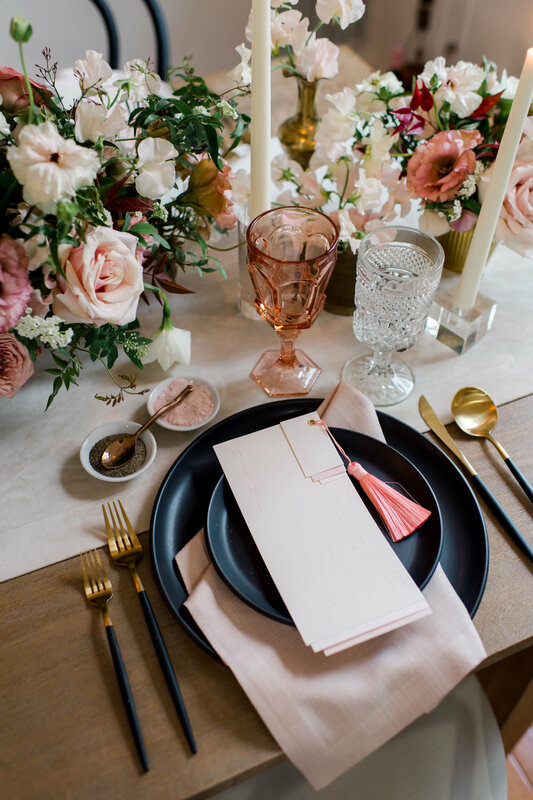 Monochromatic menu cards tied with a fun tassel completed the look. I am all about tassels. They come in so many colors and sizes and are a cost effective way to add a beautiful accent to your wedding details. 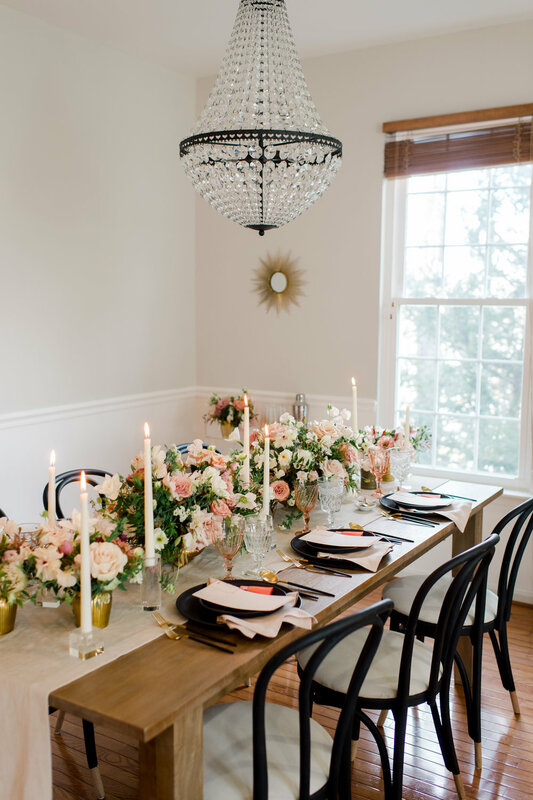 I’m also loving that black is becoming a more common color in wedding designs. It’s sleek, timeless and instantly ups the chic factor! 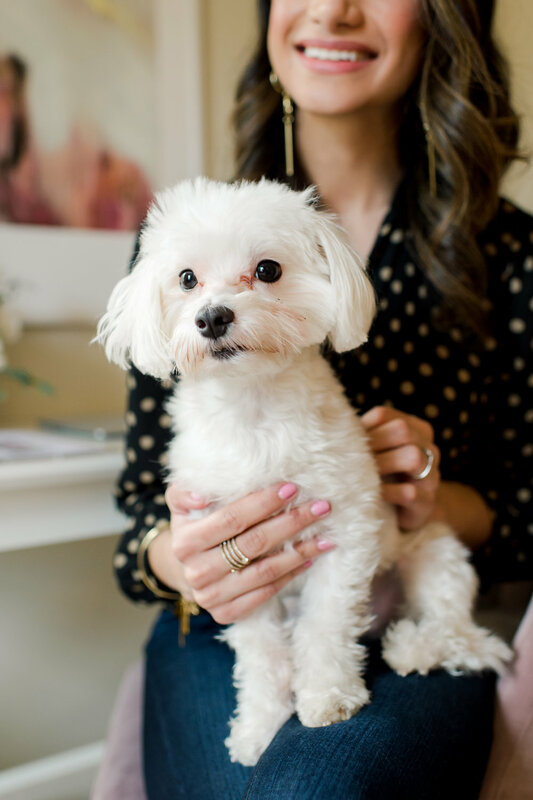 Last but not least, we managed to get my mini office assistant Moritz in on the fun! He is pretty much always by my side or on my lap while I’m working away.